Joel Weaver helped develop the USI baseball pitching staff the last two seasons that broke the squads single-season strikeout record twice. The pitching staff also has generated 79 victories, including a school record 43 in 2007, under his tutelage. 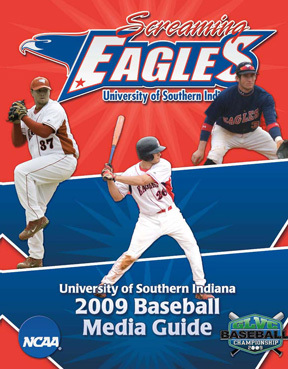 Weaver joined the USI staff after two seasons with the Wayne State College (Nebraska) baseball program. He was responsible for working with the pitchers, recruiting, and camp coordination during his tenure at WSC. While at WSC in 2005 and 2006, the Wildcats led the Northern Sun Intercollegiate Conference in wins, saves, and strikeouts. 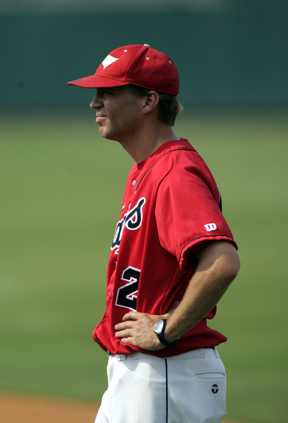 Weaver also helped direct a staff to the conference's best ERA in 2006. The Wildcats hurlers earned six NSIC All-Conference awards, two NSIC Pitcher of the Year honors, and three All-Region accolades in two seasons under Weaver. Prior to joining the WSC staff, Weaver spent one year as a student assistant at his alma mater, the University of Wisconsin-Parkside. Weaver also pitched four seasons for UW-Parkside and was a member of the staff that ranked first nationally in ERA in 2000. He also set the Ranger record for career appearances (65). Weaver, a native of West Allis, Wisconsin, earned a bachelor's degree from UW-Parkside and a master's degree from WSC in sports management.